Bali is a sensational island that sits on land filled with lush forests, cliff-lined coasts, volcanoes, rice terraces and alluring beaches with an impressive temple on every corner. The island and its people have a deep sense of tradition and celebrate their rich culture through Balinese dance, artwork, handicrafts, meditation, ceremonies, and festivals. Visitors flock to Bali for the beaches at Kuta, Seminyak, and Sanur, where surfing is a local pastime. In the mountainous volcanic regions, you`ll find terraced rice patties that creep up the mountain slopes. The island boasts thousands of temples tucked away in the jungle. Spa treatments, shopping, and spectacular local cuisine are another draw to this tropical paradise. 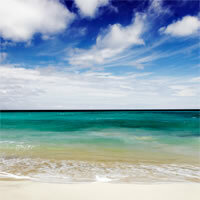 The islands close proximity to the equator provides a warm, tropical climate all year round. Uluwatu Temple, Tanah Lot Temple, Goa Gojah, Ubud Monkey Forest, Ubud Market, Waterbom Bali, Mount Agung, Mount Batur, Rice Terraces and so much more! The capital city of Indonesia, Jakarta is a melting pot of culture with a rich history and several fascinating museums to explore. This cosmopolitan capital boasts Dutch colonial style buildings and beautiful architecture along with soaring skyscrapers and beaches. A dynamic and vibrant city offering a wide variety of excellent shopping options and delicious world-class cuisine. Jakarta has the largest city square in the world where the iconic National Monument stands along with beautiful spacious parks, a historic port, and a happening nightlife. The massive metropolis has something to offer every traveler. Taman Mini Indonesia Indah, Jakarta Kite Museum, National Gallery of Indonesia, National Monument, Merdeka Square, Jakarta Cathedral, Kota Tua, and much more. The idyllic island of Lombok is filled by beautiful scenery including white sand beaches, turquoise waters, and vibrant green interiors. Lombok is a great destination for surfing, snorkeling, and diving with colorful coral reefs and a number of secluded bays. The offshore Gili Archeapalgo is a close by destination for more picturesque beaches and a great beach nightlife scene including full moon parties. Mount Rinjani, Semeti Beach, Pink Beach, Senggigi, Kuta Beach, Tanjung Aan Beach, Tiu Kelep, Tetebatu village, Pura Mayura Temple, and much more. 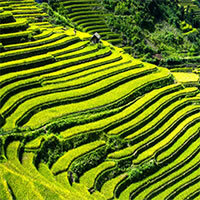 The peaceful, serene and breathtaking region of Ubud is overflowing with iconic and picturesque rice terraces. Rolling green hills, lush verdant forests, soaring mountains and paddy fields fill the countryside and provide visitors with endless outdoor activities. Explore the interesting museums, marvel at the ancient temples, take yoga lessons, dine on delicious cuisine and soak in the spectacular scenic surroundings of Ubud. Ubud Monkey Forest, Ubud Art Market, Goa Gajah Cave, Mount Batur, Moung Agung, Jatiluwih Rice Terraces, Tegalalang Rice Terraces, Ubud Night Market, Campuhan Ridge Walk, and so much more. Beautiful, Breathtaking Bali, known as the Island of the Gods is filled with ancient temples and has an extensive spiritual culture. A top tourist destination offering scenery like no other with emerald green rice terraces, towering mountains, limestone cliff-lined coasts, captivating jungles and scenic sandy beaches. The island boasts views of the sea and of the mountains featuring celebrated spots for sensational sunrises and sunsets. Enjoy world class surfing, dive in the coral reefs, visit mystical temples, shop in traditional markets, dine on delicious local cuisine and enjoy the famed nightlife that Bali has to offer. The Balinese people are some of the friendliest most genuine people in the world making a trip to this awe-inspiring island a must! Travel to Bali - Denpasar, the capital and the most populous city of the Indonesian province of Bali. Do not hesitate to enjoy at one of the major tourist destination. The perfect combination of City and Beach! Discover the best of Singapore with free stopover in Bali, known as 'the island of the gods', land of a thousand temples, spectacular scenery, beautiful beaches; and Singapore, a dynamic city, rich in contrast and color with its mix of vibrant cultures, awe-inspiring architecture, charming shopping lanes, lush gardens and much more. This is a flexible vacation package to Bali (Indonesia) and Singapore with daily departures from anywhere in the USA or Canada. Choose your length of stay. Pick your own flights, hotels and activities. Add, remove or reorder cities. Memorable beach experience combined with cultural sightseeing holidays! Begin this incredible experience by flying into Bangkok and its splendid temples and palaces. Do not miss to visit its world-famous floating markets. Combine this fantastic getaway with best-seller Phuket, where amazing nightlife awaits. 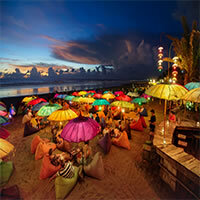 Last but not least is Bali, The Island of the Gods, offering innumerable exotic dishes and mesmerizing beaches. This is a flexible package. Select your number of nights in each city, desired hotels and activities to undergo. This is a flexible package with daily departures from anywhere in the USA or Canada. Choose your length of stay. Pick your own flights, hotels and activities. Add, remove or reorder cities. Glorious coastline a wide range of experiences! Explore Bali, relax in its beautiful beaches! The most beautiful ones are Legian, Amed, Nusa Dua and Sanur. Visit Bali Museum at Denpasar's Square, which exhibits a nice collection of carvings, paintings and costumes; go shopping or enjoy the Water Park and Spa. Up next go to Singapore, get amazed by its luxuriant parks and nature reserves! Visit here Marina Bay Sands, an integrated resort with the world's most expensive casino fronting Marina Bay; Raffles Place, located in the Downtown Core and the Central Area, it features some of the tallest buildings and landmarks of the country. Then fly into Manila, enjoy beautiful beaches and sunsets! The view of the sunset at Manila Bay , visit pre-Hispanic artefacts Museums, Art galleries or have fun in the pumping nightlife withfancy rooftop cocktail bars, speakeasy bars and laid-back pubs. Finally relax in Boracay with award-winning beaches, beautiful resorts and great adventure opportunities! Practice some water sports while here such as cliff diving, parasailing,motorbiking, horse riding, snorkeling, kite surfing and scuba diving. Explore Bali and Hong Kong highlights! Visit and enjoy Bali, relax in its beautiful beaches! Some of the most beautiful ones are Legian, Amed, Nusa Dua and Sanur. Visit Bali Museum at Denpasar's Square, which exhibits a nice collection of carvings, paintings and costumes; go shopping or enjoy the Water Park and Spa. Last but not least fly to Hong Kong, the place where East meets West! Western culture coexists seamlessly with traditional philosophy and practices of the Orient offering unique experiences to Hong Kong's tourists. Visit one of the biggest attractions, Hong Kong Disneyland or the world's tallest, bronze Buddha, you can move on to the Lantau Peak, and admire the view of the surrounding city skyline, the world-famous Victoria Harbor and Kowloon, towering skyscrapers and peaceful green hillsides. Combine Bali and Jakarta with flights between cities. Incredible beaches and modern Capitals. First stop... Bali, top Indonesia Vacation Spot. With its spectacular mountain scenery and beautiful beaches with warm and friendly people. 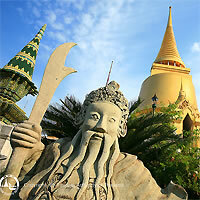 Then fly to Bangkok, where Southeast Asia's history and modern events come together; a major economic and cultural hub. Lastly discover Singapore, affluent city with a medley of Chinese, Malay and Indian influences and a tropical climate, with tasty food, good shopping and a vibrant night-life scene. Awesome trip to explore the best of Asia! Visit Bangkok, land in the colorful, exotic and pleasingly city! Visit the impressive sacred temples and get amazed by the authentic experience of the pioneer floating markets. Then fly to Singapore, an ultra-modern city of soaring skyscrapers! Visit here Marina Bay Sands, an integrated resort with the world's most expensive casino fronting Marina Bay; Raffles Place, located in the Downtown Core and the Central Area, it features some of the tallest buildings and landmarks of the country. Up next fly into Bali, relax in its beautiful beaches! The most visited ones are Legian, Amed, Nusa Dua and Sanur. Visit Bali Museum at Denpasar's Square, which exhibits a nice collection of carvings, paintings and costumes; go shopping or enjoy the Water Park and Spa. Last but not least, fly to Hong Kong, a city known for having one of the most fascinating and expansive skylines that certainly will make your jaw drop! Best of Thailand and Indonesia! Begin this spectacular getaway flying into Bangkok, this vibrant city is packed with multi-faceted sights and attractions such as magnificent Buddhist temples, palaces and floating markets. Visit Bangkok's most important landmarks including Grand Palace, Wat Pho and Wat Arun. Do not miss to experience exceptional shopping at Chatuchak Weekend Market, one of the world's largest weekend markets where you will be able to buy just anything. Then, fly into Chiang Mai, famous for its history, culture and ancient temples including Wat Phra That Doi Suthep, Wat Chedi Luang and Wat Phra Singh. A trip to Chiang Mai is not complete without a visit to Chiang Mai Zoo and a night safari tour. Last but not least is Bali, featuring countless temples and natural landscapes. Sightsee its spectacular beaches of Nusa Dua, Kuta and Seminyak or discover Ubud with its picturesque terrace rice fields. You cannot leave Bali without a visit to its most important temples including Uluwatu Temple and Pura Tanah Lot. This is a truly amazing experience you won't want to miss. Shoppers' paradise and Multicultural city. Fly into Kuala Lumpur and have a great time discovering its interesting tourist attractions such as the stunning PETRONAS Twin Towers, Merdeka Square, well-preserved mosques such as Jamek Mosque, Kota Kinabalu and beautiful temples including Khoo Kongsi and Sri Mahamariamman Temple; then move onto Chinatown which offers a vast array of incredible shopping opportunities. Combine this amazing experience flying into Denpasar known for its lively street markets and enormous department stores, discover authentic attractions and places of interest such as Bali Museum, Bajra Sandhi Monument (Renon), Puputan Badung Monument, Denpasar square, and Taman Budaya Ardha Chandra (Bali Art Centre); and definitely an important event you cannot miss is the Bali Arts Festival which is held annually. Awesome trip to explore Asia! Explore Hong Kong,the place where East meets West! Western culture coexists seamlessly with traditional philosophy and practices of the Orient offering unique experiences to Hong Kong's tourists. Visit one of the biggest attractions, Hong Kong Disneyland or the world's tallest, bronze Buddha, you can move on to the Lantau Peak, and admire the view of the surrounding city skyline, the world-famous Victoria Harbor and Kowloon, towering skyscrapers and peaceful green hillsides! Then fly into Bali, relax in its beautiful beaches! The most famous are Legian, Amed, Nusa Dua and Sanur. Visit Bali Museum at Denpasar's Square, which exhibits a nice collection of carvings, paintings and costumes; go shopping or enjoy the Water Park and Spa! Up next, fly to Bangkok, land in the colorful, exotic and pleasingly city! While here, discover and visit the impressive sacred temples and get amazed by the authentic experience of the pioneer floating markets. 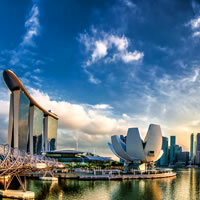 Last but not least, fly to Singapore, an ultra-modern city of soaring skyscrapers! Visit here Marina Bay Sands, an integrated resort with the world's most expensive casino fronting Marina Bay; Raffles Place, located in the Downtown Core and the Central Area, it features some of the tallest buildings and landmarks of the country. The perfect combination of City and Beach! Discover the best of Singapore with free stopover in Bali! Singapore,a dynamic city, rich in contrast and color with its mix of vibrant cultures, awe-inspiring architecture, charming shopping lanes, lush gardens and much more! Then fly to Bali, known as 'the island of the gods', land of a thousand temples, spectacular scenery, beautiful beaches. Everything you want to see in life!!! Flight to Dubai visit Jumeirah Mosque then go shoppinng in Deira or get amazed by Dubai Aquarium that house 140 species of sea life. Then go to Mumbai a beautiful city with impressivecolonial buildings and colorful atmosphere, visit fascinating bazaars where shopping is more like an adventure or enjoy the best nightlife in India. Up Next Flight to Bangkok visit Museums and Temples and enjoy the atmosphere of the famous floating markets. Continue this wonderful trip in Singapore walk around Gardens by the Bay or visit The Botanic Gardens and Chinatown. Finally go to Bali and relax in its beautiful beaches like Legian , Amed , Nusa Dua and Sanur. *Abstinence from eating, drinking, and smoking. Food and entertainment services in hotels and other public places may be affected. Stunning journey to the multicultural melting pot of Singapore, the world class city of Kuala Lumpur, and the authentic Bali. Fly into Singapore and spend two incredible nights there, sightsee National Gallery Singapore, the Orchard Road shopping area, the multicultural dance, music and visual feast at Chingay Parade, the new Marina Bay area, additionally enjoy tasty food, and vibrant night-life scene. Then fly into Kuala Lumpur and be amazed by many of its interesting attractions such as the stunning PETRONAS Twin Towers, Merdeka Square, mosques and temples, and numerous huge shopping malls. Then fly into Bali which is inspiring for visitors because of its special vibe, essence and authenticity. This perfect holiday destination boasts a unique blend of modern tourist facilities combined with idyllic beaches, amazing shopping and a rich heritage. Do not miss visiting Uluwatu that is among the Bali's most important sea temples, Tanah Lot, the spectacular beaches of Kuta, Nusa Dua and Seminyak, or Ubud's cultural heart and picturesque terraced rice fields. Asian Top Destination! Explore one of the world’s top tourist destinations; Bangkok, with its multi-faceted sights and attractions like Royal palaces and and temples as well as several museums. Then flight to Denpasar and have a Bali-ntastic time, in one of the most beautiful and dream-like island of Asia. Futuristic and Relaxation in Asia !!! Fly to Tokyo the capital of Japan. this beautiful city actually has an unbelievable amount of beautiful gardens and shrines for anyone seeking a peaceful vacation and food options are overwhelming. Up next fly to Bali the world's most desirable island destination,with dramatic volcanoes, soaring seaside cliffs, green rice-terraced valleys and mystical temples. The trip was excellent. I can`t think of a way to make it better. Perfect vacation. We are fully satisfied about our hotel choices. Particualrly the one in Bali (Inaya) was outstanding in terms of facilities and staff. © Copyright 2008 tripmasters.com. California Seller of Travel Registration #: 2051869&dash;40.